The original Surface device was released in 2012 to near unanimous derision. There were a few major problems with the original Surface, the main issue being that Microsoft offered a tablet only OS called Windows RT alongside the much more expensive Windows 8 Pro. Although the devices looked identical, the substantial difference in price and naming convention confused and alienated consumers. Thankfully, Microsoft only offers the Surface 3 with Windows 8.1 Pro, a full-fledged OS that offers both tablet (touch-friendly) and laptop functionality. You have the option of using tablet type apps or fully installed desktop applications that you’ve been using for years. The Surface 3 is flexible enough to potentially replace any tablets or laptops you’ve been lugging around. Whereas the iPad sticks to strictly tablet-type apps and the MacBook Air sticks to desktop applications, at this point Apple doesn’t offer a single device that fits both functions. Let’s take a look at each of the devices to see how the compare. The Surface 3 price ranges from $799 up to about $2000. Keep in mind that this device can be used for both tablet and laptop functionality, so the specs vary widely between the processor type, memory and on-board storage. The iPad comes in two form factors: iPad mini and iPad Air. The iPad mini ranges in price from $299 up to $829. The iPad air with its larger screen runs from $499 up to $929. The Surface 3 is about 12” by 8” and is about .36” thick. Weight is about 1.76 pounds. It’s a hefty feeling machine for a tablet, but again the technical specs of this machine necessitate being a bit larger than your average tablet. Keep in mind the Surface 3 has the largest display of the three machines at 12”. The iPad mini is about 8” by 5” and .29” thick. Weight is about 3/4 of a pound. With its 7” screen, the mini is perfect for light travel and those who favor mobility over screen size. The iPad Air is about 9.5” by 6.6” and .29” thick. The weight is an impressive one pound. The iPad has a 9.7” screen. The Surface 3 supports both native Windows applications that are installed via digital or optical media. These would be considered traditional Windows applications. Windows 8.1 also supports obtaining apps from the Windows App store. These are more tablet (and touch) focused apps. Both iPad mini and iPad use the same apps from the iTunes App store. Processor-wise, each of the three devices are hard to compare, as Apple develops its own processor whereas the Surface uses a standard Intel “i” series processor. Storage will be the primary price differentiator when choosing one iPad Air over another or iPad mini over another. Storage on the iPad Air and mini range from 16GB to 128GB. The Surface 3 storage ranges from 64GB up to 512GB. 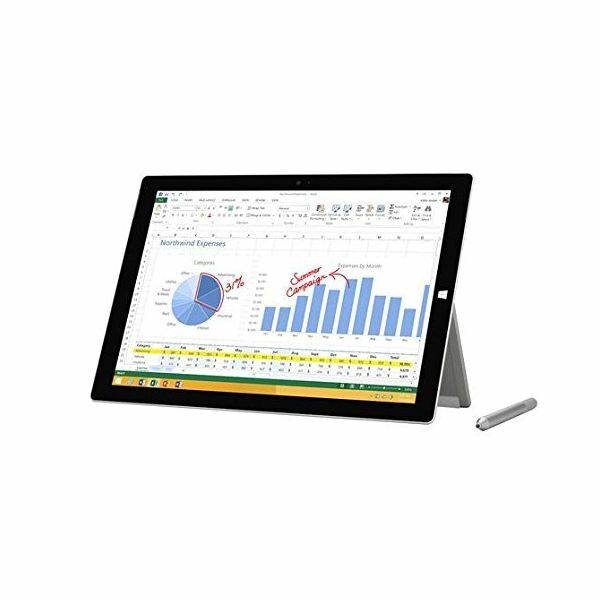 Display size for the Surface is 12” with a resolution of 2160×1440. The iPads are known for their excellent visuals. The iPad Air is a 9.7” display with 2048×1536 resolution. 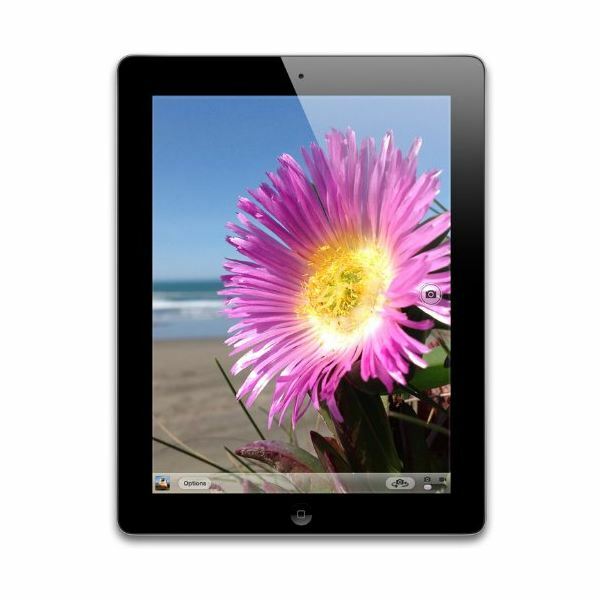 The iPad mini comes equipped with a 7.9” display and 2048×1536 (Retina) or 1024×768 resolution. If you are in the market to purchase a new laptop that runs Windows, consider looking at the Surface 3. If, however you want a top of the line tablet and already have a full laptop for work duties, check out either of the iPad devices. Good luck choosing!